I had a bumpy week with my flu/cold this week. But reading was still very good. I finished six books and posted only three reviews so I'll be posting more this week (I hope). I posted two features, one with Giveaway. I did a little visiting early in the week but will need to catch up again. It's Monday What are You Reading? September 16, 2013. Book Review: Darkest Worlds: A Dystopian Anthology, Dystopia; my rating 4.25. Martha's Bookshelf***Friday Pick Giveaway September 20, 2013. Open Worldwide. Ends 9/19. Audio Book Review: Monster Hunter Incorporated by Larry Correia, Fantasy, Action; my rating 4.75. Saturday Snapshot September 21, 2013 Bahamas Cruising - Nassau. Book Review: Color Me Bad, a Novella, by Sharon Sala, Contemporary Women's Fiction; my rating 4.0. Sharing Beyond Books #118 Comment Giveaway 9/21/13. Open Worldwide. Ends 9/27. Sunday Words of Encouragement September 22, 2013. Spotlight, Giveaway and Review linked above. I enjoyed this paranormal and suspense book received at EPICon 2013 in March. I will post a review and giveaway late this week. I enjoyed this romance which read quickly. This was a fun, fast listen. I'll post a review soon. Ten excited co-workers arrive at the beautiful Avondale Resort on a remote island in the middle of the Caribbean, having been told that they are being rewarded for their hard work and productivity. But their relaxing tropical getaway soon turns into a murderous nightmare. After an extravagant first night dinner, the guests retire to their lavish suites only to be awakened by an ear-splitting bang. They rush to the smoking parlor to find Jordan, the company’s intern, dead - a massive hole in his chest. Giles, the consummate English butler who seems to be in charge, announces that they must solve the crime or be the next victim. The killer, who has booby-trapped the island and cut off phone and Internet connections, is hiding among them. Is it the HR representative with a penchant for Bloody Marys, the twenty-two-year-old claims processor with the purity ring, or perhaps the head chef of the company cafeteria? The killer plays with their minds, inviting them to explore the beautiful resort, from the infinity pool with the high dive to the white sand beach complete with jet skis and snorkel gear. Anthony E. Zuiker is the creator and executive producer of the CSI franchise, which includes CSI: Crime Scene Investigation, CSI: Miami, and CSI: NY. 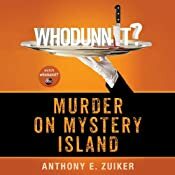 His mystery reality show, Whodunnit?, is his first foray into unscripted television. He lives in Los Angeles with his three children and his wife, Michelle. Whodunnit? Murder on Mystery Island is performed by the show's host/butler, accomplished narrator Gildart Jackson. ©2013 Anthony E. Zuiker (P)2013 Audible Inc. I'll post a review later in the week. I received this from SYNC YA. Felix lives in a convent orphanage in Poland. He is convinced his parents are still alive and that they will one day come back to get him. When Nazi soldiers come to the orphanage Felix decides to escape and make his way home.The journey to find his parents is a long and difficult one, as Poland is occupied by the Nazis and a dangerous place for a Jewish boy. Felix manages to live and look after himself and another orphan, Zelda, with the help of a kind dentist, Barney, who is hiding and looking after a number of Jewish children. When the Nazis discover them, Barney makes the ultimate sacrifice for the children – electing to go with them on the train to the death camps, rather than taking the option of freedom offered by a Nazi soldier, one of his grateful patients. by R. J. JeromeYou fool. Armageddon is weeks away, right under the Church’s nose, and the Order that is appointed to watch and protect the world doesn't even realize it. 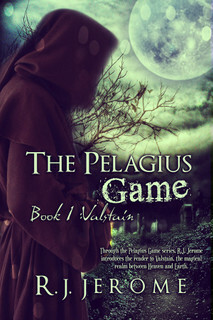 Through The Pelagius Game series, R.J. Jerome introduces the reader to Valstain, the magical realm between Heaven and Earth. 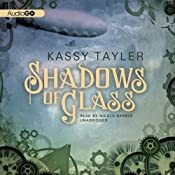 Valstain follows the life of Timothy Anderson as he reveals his haunted past to Father Michael Olshefski, the new headmaster of The Pelagius Order. The Order’s seminary is the training ground of a secret religious society whose job is to find and prepare gifted warriors to fight evil. Valstain is a must read for anyone interested in fantasy adventures with plenty of sword fights, vibrant characters, and intricate plot twists. This week's giveaway link: TB Posted Wednesday. I am enjoying Book two of this dystopian adventure. Reviewing for AudioGo through AudioBook Jukebox. and is reading more quickly than I expected. the first week of October. I am reading this for review for the author during blog tour of her new release. This review will post October 3, 2013. Something terrible happened in Pine Creek. Eve Taylor must return home for her grandmother’s funeral but has every intention of making it a short visit. Too many memories live in the small town where she grew up, memories of a Halloween best forgotten. Trey Rainwater has been waiting for Eve. He knows she’ll be staying for longer than she’d planned and has every intention of making sure she does. He has a promise to keep. 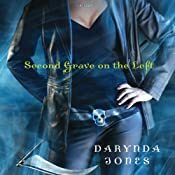 Eve and Trey find themselves thrown into a deadly combination of riddles, murder, and a love that won’t be denied. As the moon hovers in the October sky and Halloween grows closer, Eve must fight her own personal demons while learning to trust the man who protects her. The past has come back to life, and a killer is stalking the small town of Pine Creek. He’s waiting for his Hallowed Eve. A House Divided by Kimberly Lawson Roby- This book is about family 'drama' and not for me. I do not like one of the primary characters and am not interested enough to wade through the mean, selfish attitudes. Sisterhood by Deleyna Marr looks like a very interesting read. Hallowed Eve by Suza Kates is another story I will have to get. 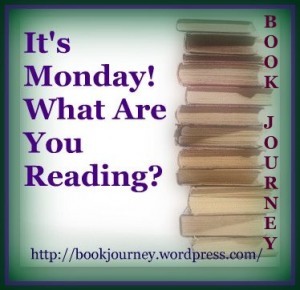 Looks like you been busy reading last week and so far this week. I like your mailbox! Enjoy them all. So many books! I hope you feel better and have a great week. I'm reading an early Lori Foster - 'In Too Deep'. Don't know how you're reading so much with a cold - I usually just want to sleep! Glad you are feeling better. Love Charley in the grave series.